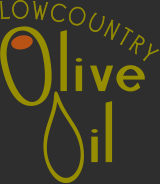 Oliver Farm Pumpkin Seed Oil is delicious and nutritious. Packed with vitamins and nutrients and has a long history of health benefits including improvements in prostate health, skin irritations, and hair loss. Very high concentrations of zinc make this oil a powerful medicine. The flavor of this oil is equally amazing. While not suitable for high temperature cooking it has many varied uses including as a salad dressing. Refine with salt, pepper, seasonings or herbs, it’s a delicious dressing for every salad. Pumpkin seed oil is great with seasonal fruits and delicious served over vanilla ice cream as well. Pair with rosemary, apple, cranberry pear or chocolate balsamics.